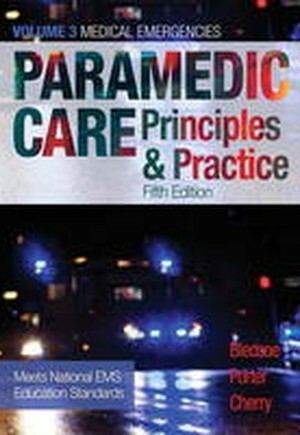 For courses in Paramedic Emergency Medical Services A strong, evidence-based foundation in the principles and practices of modern EMS Paramedic Care: Principles & Practice, Fifth Edition, offers EMS students and professionals a foundational guide and reference to paramedicine. 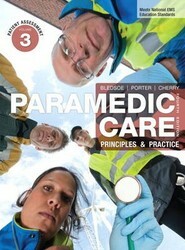 Developed to stay ahead of current trends and practices, all five volumes are based on the National EMS Education Standards and the accompanying Paramedic Instructional Guidelines. Volume 3, Medical Emergencies, covers medical emergencies and includes updated material that is consistent with the 2015 American Heart Association Guidelines for Cardiopulmonary Resuscitation and Emergency Cardiovascular Care. New information is included on Ebola, Zika, and Chikunyaga virus disease, as well as updated toxic syndromes and drugs of abuse tables, and a new section on cardiac arrest in pregnancy. Also available with MyBRADYLab(TM) This title is also available with MyBRADYLab-an online homework, tutorial, and assessment program designed to work with this text to engage students and improve results. Within its structured environment, students practice what they learn, test their understanding, and pursue a personalized study plan that helps them better absorb course material and understand difficult concepts. Note: You are purchasing a standalone product; MyBRADYLab does not come packaged with this content. Students, if interested in purchasing this title with MyBRADYLab, ask your instructor for the correct package ISBN and Course ID. Instructors, contact your Pearson representative for more information.